Naomi Jackson reads from her novel, The Star Side of Bird Hill, at the 2016 Bread Loaf Writers’ Conference. The Star Side of Bird Hill, published by Penguin Press, was nominated for an NAACP Image Award and the Hurston/Wright Legacy Award, longlisted for the National Book Critics Circle’s John Leonard Prize and the Center for Fiction’s First Novel Prize, and named an Honor Book for Fiction by the Black Caucus of the American Library Association. Jackson studied fiction at the Iowa Writers’ Workshop. She traveled to South Africa on a Fulbright scholarship, where she received an MA in Creative Writing from the University of Cape Town. A graduate of Williams College, her work has appeared in literary journals and magazines in the United States and abroad. 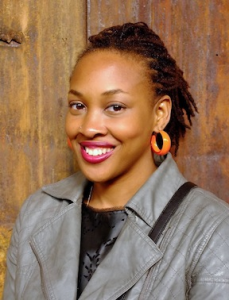 She is the recipient of residencies and fellowships from Hedgebrook, the University of Pennsylvania’s Kelly Writers House, and Camargo Foundation. Jackson was born and raised in Brooklyn by West Indian parents. She is currently a Visiting Writer at Amherst College.